The pygmy leaf chameleon, scientifically known as Brookesia minima, is a member of the African leaf chameleon family. It is native to the jungles of Madagascar and is the smallest of all the chameleon species. He measures about 1 inch in length and, as his name suggests, his coloring resembles foliage. The species is listed as "vulnerable" by the IUCN Red List. 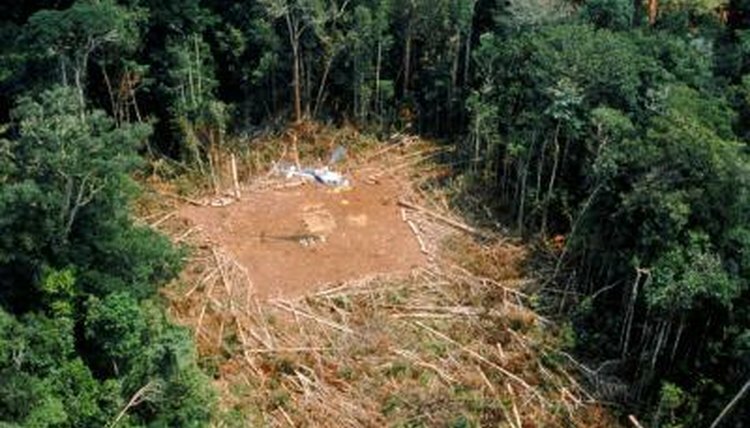 The major threat is loss of habitat to logging and mining activities. According to San Diego Zoo, the pygmy leaf chameleon is such a recent discovery that little is known yet about the tiny creature's life expectancy. The zoo website states that chameleon species are known to live for more than 10 years in captivity, but that life in expectancy in the wild is unknown. The A-Z Animals website estimates chameleon life span at 4 to 8 years.